24/7 Bail Bonds is a bail bond company serving Bulloch, Effingham, Tattnall, Evans and Candler counties. We are a locally-owned bail bond business with over 15 years of experience. 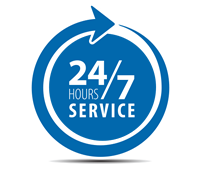 At 24/7 Bail Bonds, we are here to act as a surety in order to secure your immediate release from jail or detention centers. If you have been offered the opportunity for bail, let 24/7 Bail Bonds be your first choice. Your problems may not all disappear, but we’ll make this one much easier for you. Our experienced bail bonds team is fast, courteous and professional, and we maintain client confidentiality at all times. Our confidence and determination to help you are our primary concern. 24/7 Bail Bonds is a locally owned, family business that understands family problems. Give us a call to secure your release from jail and to calm the fear and confusion from this difficult time in your life.